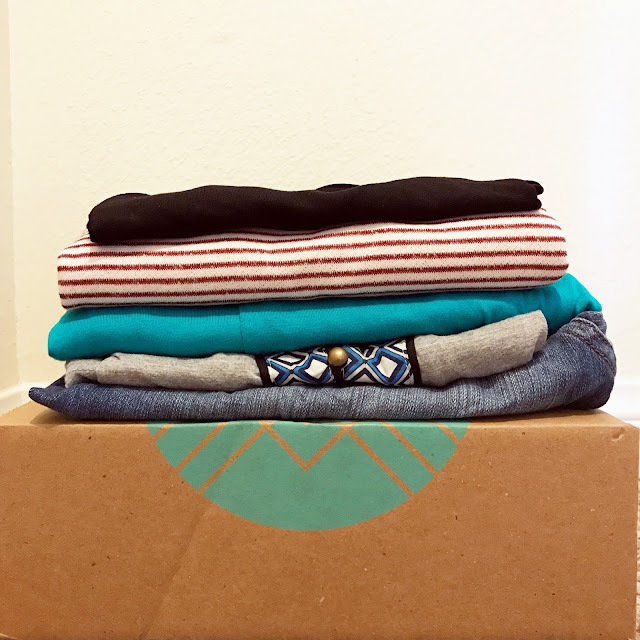 Chasin' Mason: [Stitch Fix] Fix #15 + a $150 Stitch Fix Giveaway! 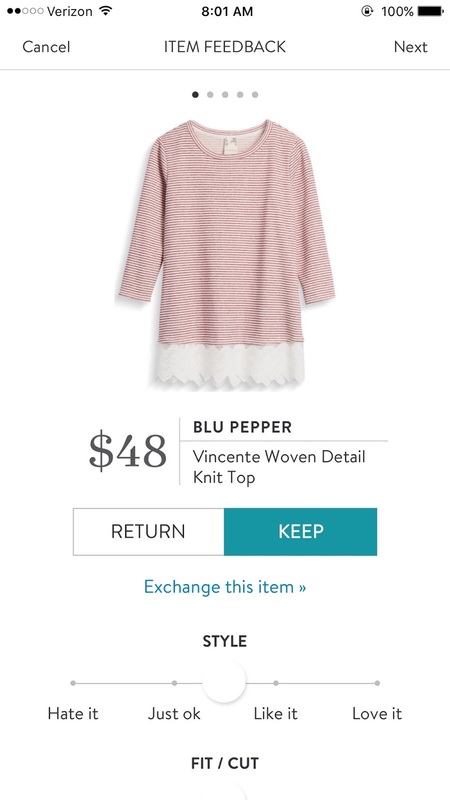 [Stitch Fix] Fix #15 + a $150 Stitch Fix Giveaway! Goodness, it's been FOREVER since my last fix! It was completely unintentional, but I didn't realize how long it's been since my last fix back in February. In the grand scheme of things, obviously a couple months isn't that long, but I was getting them every month or so (and wanted them more often LOL) so three months seems like a long time! But... without further ado... it's fix reveal day! One of my favorite days! In case you haven't heard of Stitch Fix, it's basically a personal shopping service. You fill out your online profile by answering some questions about likes/dislikes, style, sizing, etc and then can write a note about what you're interested in as well as link a Pinterest style board to help your stylist know what you're looking for and what you're style is. 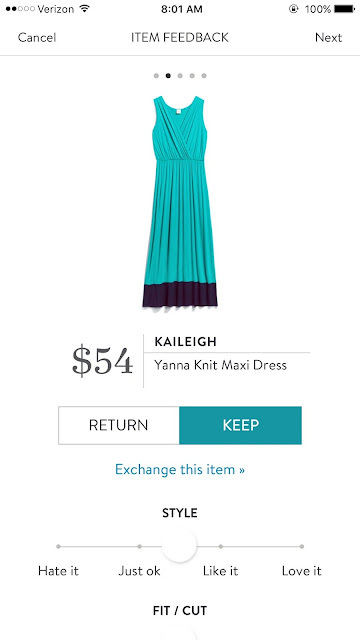 Then your personal stylist gathers some items that she thinks you'd like and sends them to you. You try them on in the comfort of your own home and decide what you do and don't want to keep and then you have three days to send back whatever you don't want. Easy peasy! 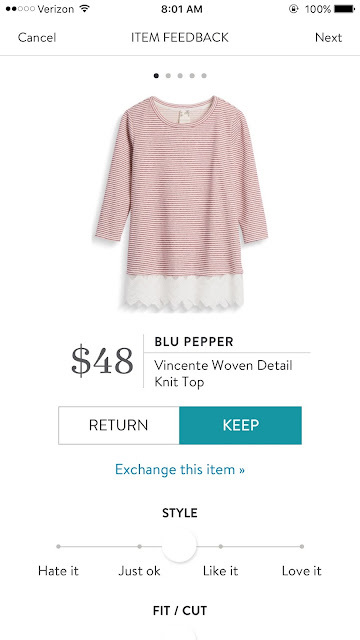 The styling fee is $20 and if you send back all the items, you lose the $20. 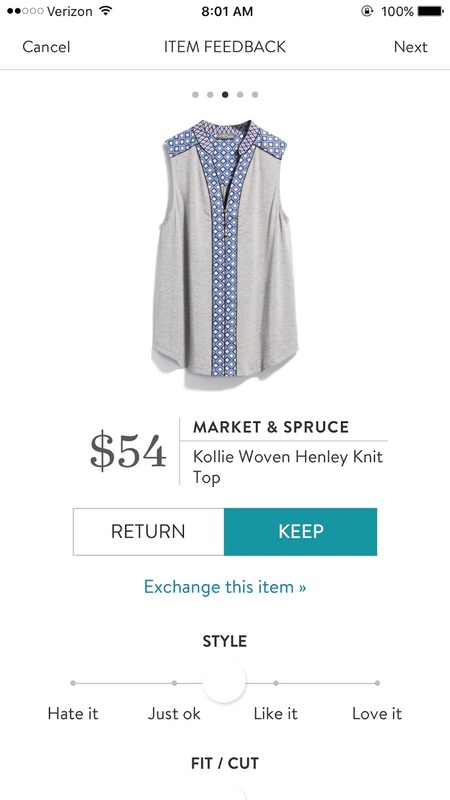 If you keep one (or more) items, they deduct the $20 styling fee from your total and you pay the difference. And if you keep all five items, they deduct the $20 from the total and you get a 25% discount on all the items. Pretty great! If you're interested in signing up, if you want to use my referral code then I'll get small credit to my account and will be forever grateful. A couple fixes ago, I had requested a new stylist. 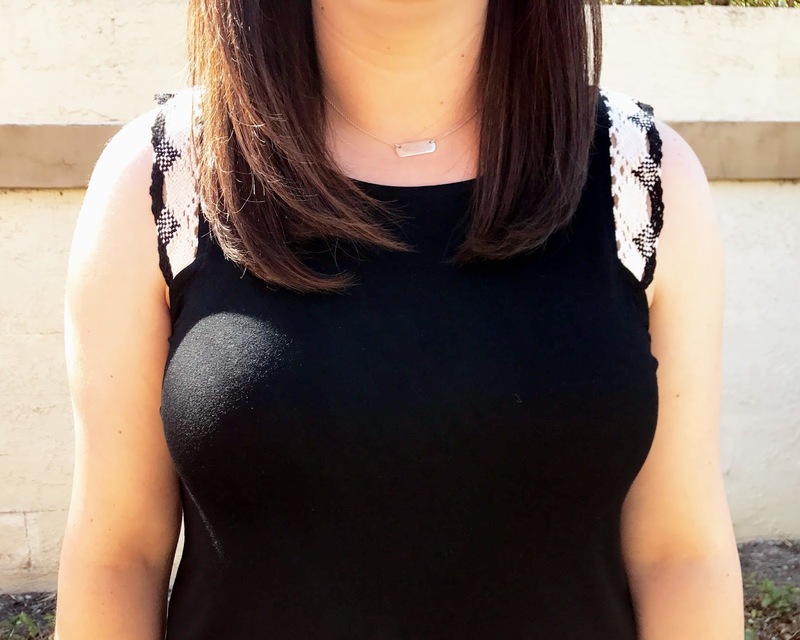 While I did like my old stylist, I felt like she was thisclose to nailing my actual style. I always liked the things she sent me, but they just weren't quite me. So, I requested Desiree's stylist, Raquel. I always LOVE everything that Desiree gets in her fixes and figured that if we had a similar style, that Raquel would surely hit the nail on the head for me too. And sure enough.... SHE DID! Check out my FIRST 5/5 fix here! So now... on to my 15th fix! 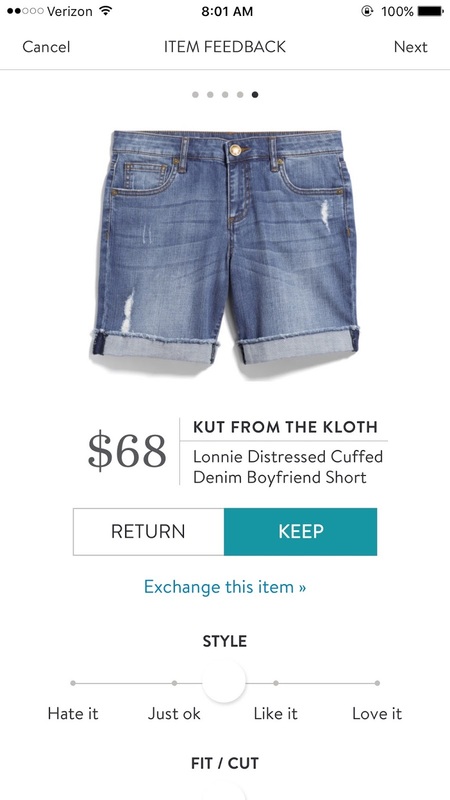 You guys might remember my love affair with Kut from the Kloth when I previously shared my beloved Kut from the Kloth skinny jeans. 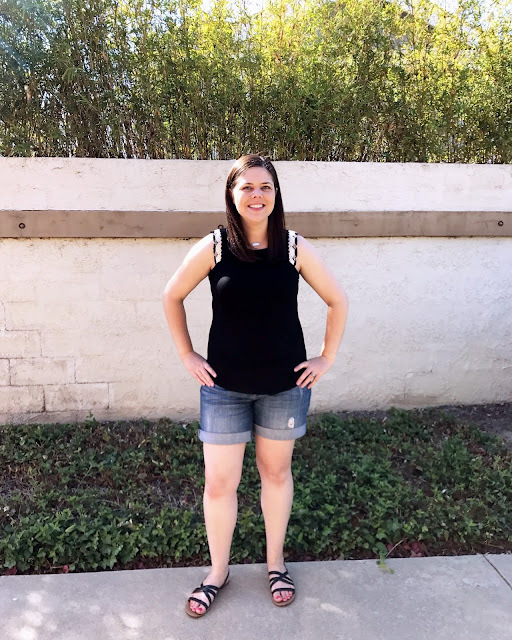 It's no secret I am a HUGE fan of their jeans and shorts and I ask for them in every Stitch Fix box that I can in hopes that they will have some new item that I haven't tried yet. Well, Raquel delivered on these and I haven't tried them yet! When I first took them out of the box, I was excited about the brand (obviously), but I wasn't overly excited about the hem. But I thought I'd give them a try because KFTK hadn't let me down yet, but I didn't love them. I had actually just bought some new KFTK shorts at Nordstrom a couple months ago (but I never say no to more), but these didn't wow me. 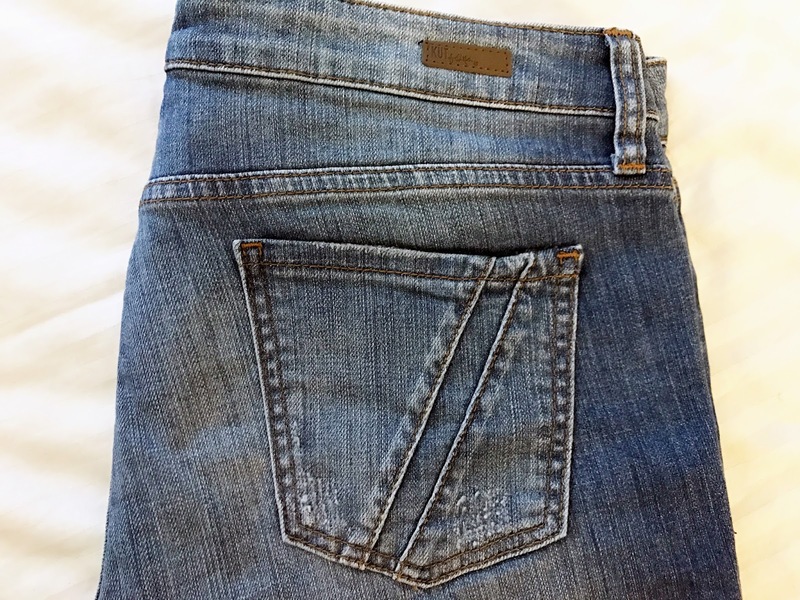 They were slightly tighter than my other kinds and I would probably have to size up, so I ultimately decided to keep what I have and return these. When I took this shirt out of the box, I was excited. It's a little hard to tell in the pictures, but it's a very skinny red striped shirt. It's 3/4 length and it has lace at the bottom. What more could a girl ask for? Well... it's been quite hot here in Southern California and this girl asked for flowy short sleeve tops, so this one didn't quite fit the bill. It was more of a terry cloth type shirt than a light weight breathable shirt also. 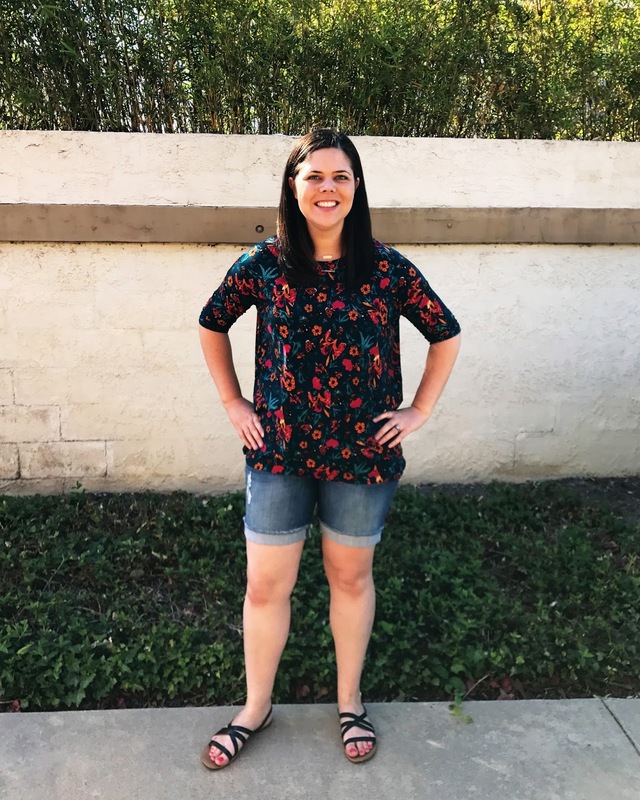 Had this shirt come to me in October, I totally would have kept it, but May and going in to the hottest season... not so much. This shirt had some potential and then... buttons. There's just something about this shirt that struck me as "old lady". 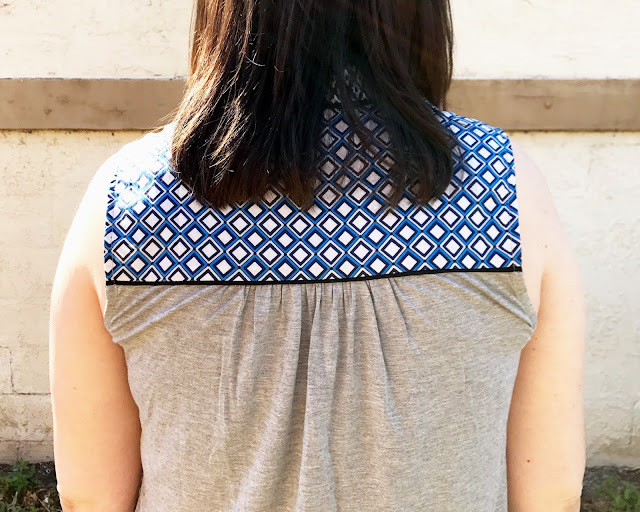 I actually really liked the pattern part of the shirt, but wish it was just the back detailing and shoulder/collar detailing and that it didn't go all the way down the front. And that there were no buttons. Well they didn't unbutton, so are they really buttons? What ever you want to call them, I wish there were no little gold things on the front. I pulled this baby out of the box and it was love at first sight. I actually don't have anything with crochet detailing on it, and I fell in love hard. I was so happy when I put this shirt on and it fit perfectly. I love the fact that it is black. I love the fact that I can wear a real bra (!!!) with it. And I love the crochet detailing on the sleeves. It's light weight and flattering and perfect for summer! I was excited to see a dress in this fix, but I wasn't overly excited about the color. The turquoise color was a bit brighter and louder than I am used to, but I wanted to try it on to give it a fair chance. Sometimes I think I hate things when they come out of the box, but then love them on me, so I wanted to try it on first before I made a complete decision. And well... I didn't hate it, but I didn't love it either. I did LOVE the color blocking, but wish the top color was a bit more subdued. 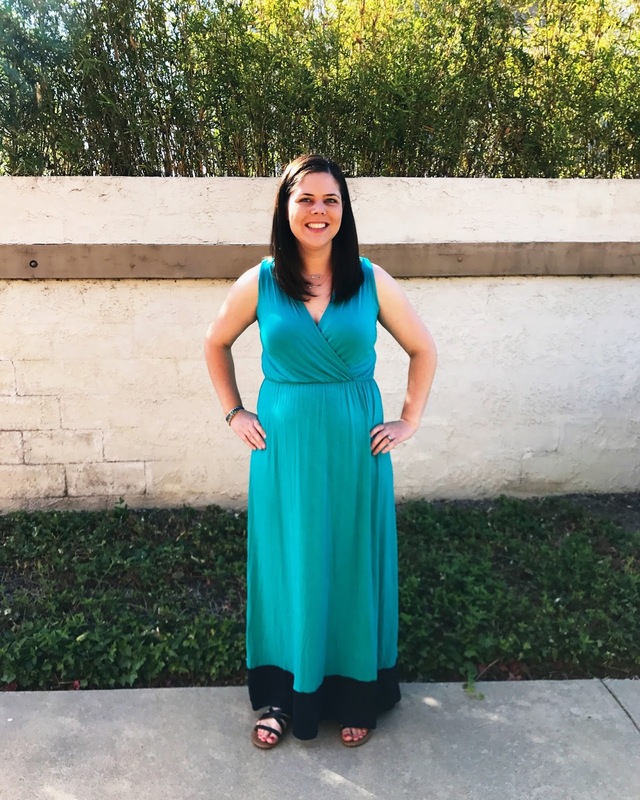 Or maybe if it was reversed and the majority of the dress was a more flattering navy blue and the bottom part was the turquoise? Well, a 1/5. Not the best, but not the worst! I was actually kind of surprised at some of the pieces that Raquel sent me because some of the pieces were so "not me" and she was being so amazing with her choices in previous fixes. Maybe because I had taken so much time off, she forgot what I liked? I have no idea. Either way, I'm definitely excited about getting another fix and I made sure to leave feedback so Raquel knew what it was about these pieces that I didn't like. Bring on my next fix! Do you agree with my choices? Should I have kept anything that I sent back? And now for the exciting part!!!! 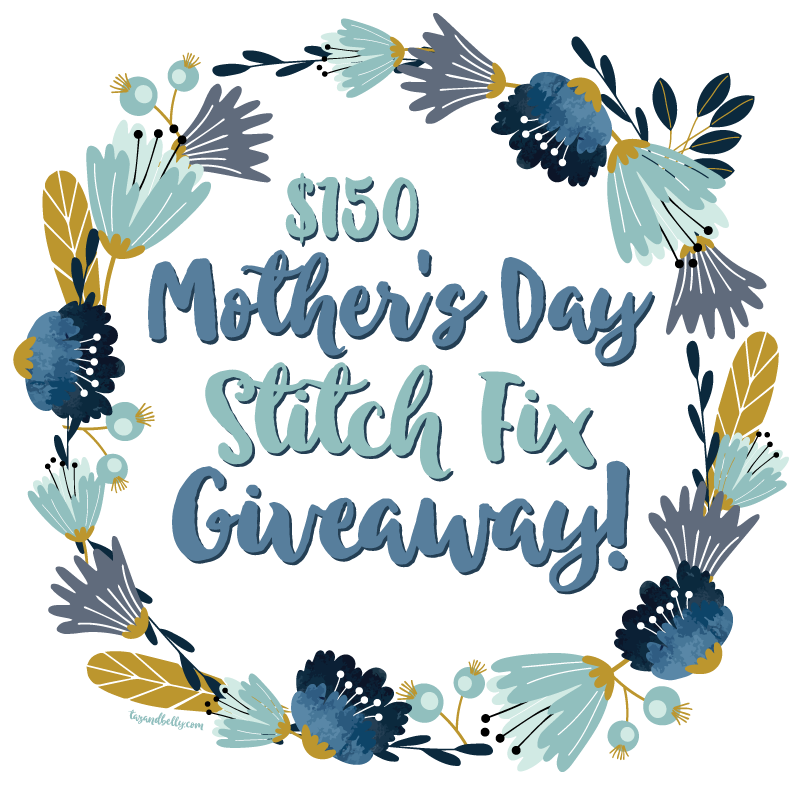 I've teamed up with some amazing ladies to bring you a giveaway for a $150 Stitch Fix gift card! Click the links below and check out the goodies they got also! Enter on the rafflecopter below. Entries will be verified. Giveaway runs from May 9, 2017 at 12am Pacific time to May 15, 2017 at 12am Pacific time. Winner will be emailed the Stitch Fix gift card. Need a last minute gift for mom? 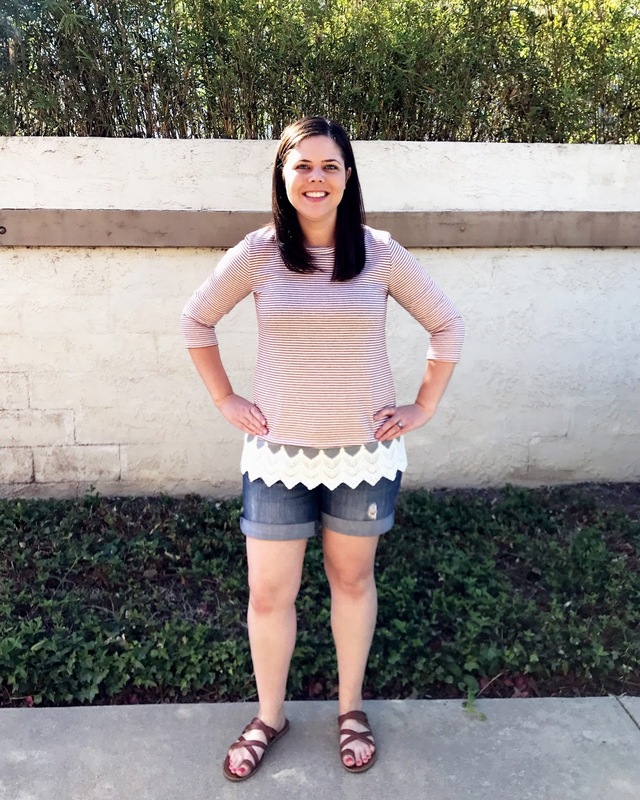 Give her a Stitch Fix gift card! I love the top you kept! I have one top with crochet detailing on the bottom & I definitely think I need to add more to my wardrobe. I messed up on one of my entries, but I'd love this gift certificate! I thing I agree with what you kept / didn't keep. I loved that dress and thought it was a good price, so I'm sorry it didn't work for you! I love the top you kept!! And I agree with your reasons to return on all other items. I have a stitch coming my way and it's all tops so hopefully I find something fun! Too bad that maxi dress wasn't a different color! I do love the top you kept though. Great pieces! I really like the shorts but can understand why you returned them! I love both of those tops -- too cute! I love that dress on you and the color, even if it's too bright for you, looks great! But I love the top that you kept. Good choice! I liked the shorts and the dress! But, I LOVE turquoise. The top you kept was by far my favorite piece, though!! The top you kept is SO slimming and adorable! Great choice- total keeper! I saw the black tank and knew that was your keeper ;) Bummer about the let down box, but LA summer really sneaks up on you and she probably figured you still had another month of cool-ish weather. The henley top is super cute! That maxi dress is cute but I think I'd like it better if it was all one color. Totally agree with what you kept! I am so sad the KFTK shorts didn't work for you - I got those last summer and LOVE them and just commented on Desiree's blog that she should request them! 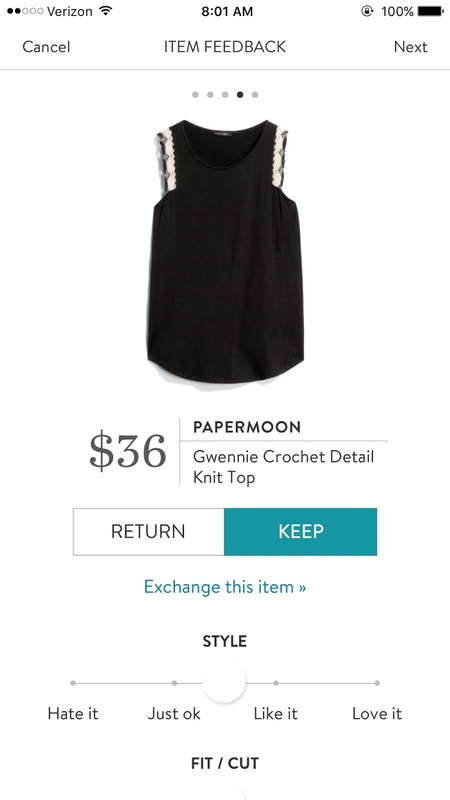 oh my gosh, the black top!! It looks so good on you!! I love that one. Good pick, def my fave of the bunch. 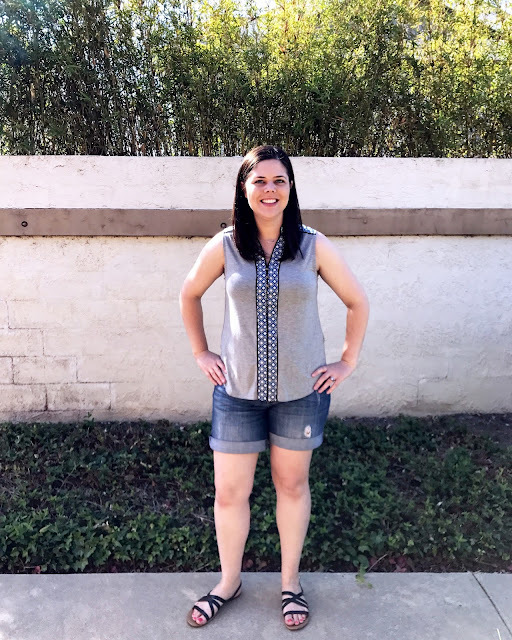 I don't do Stitch Fix because I'm cheap and won't spend that much on clothes. 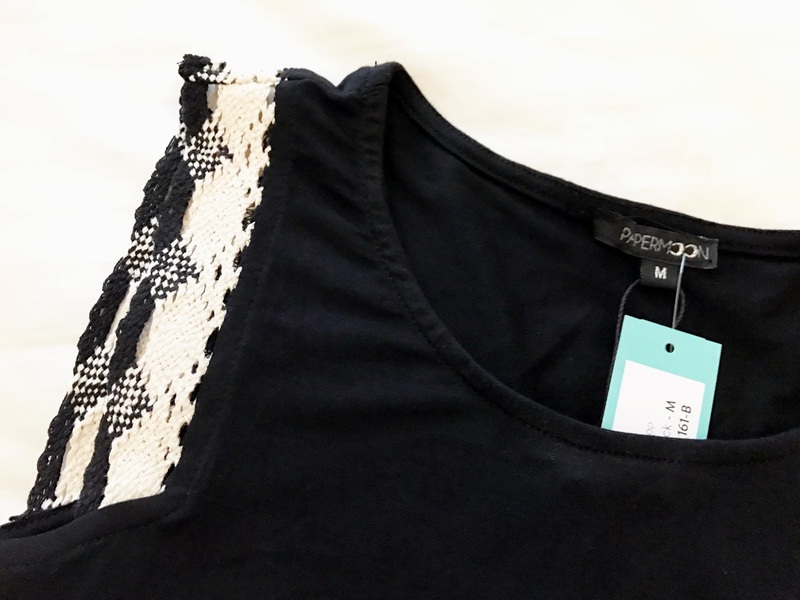 I really like that black top with crochet. It looks great on you. 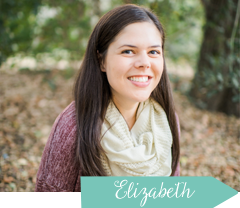 I am so excited to have won! Thank you! !